European new-car sales rose 5.7 percent last month despite a fall in sales for Volkswagen's core brand and fewer trading days in March due to Easter. 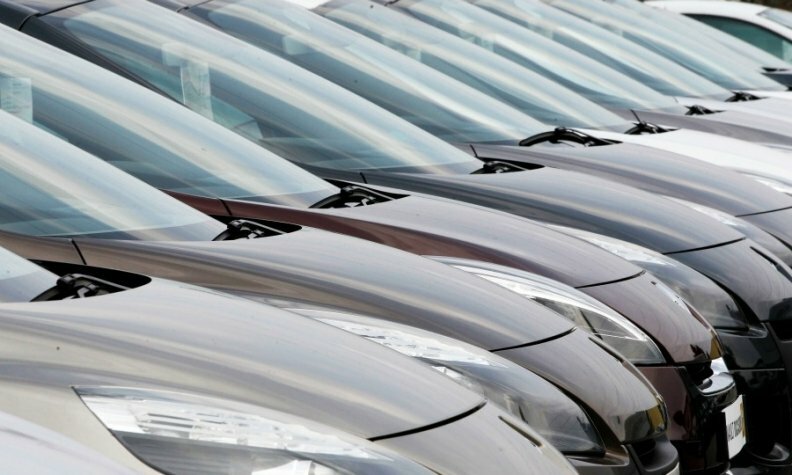 Overall, registrations in the EU and EFTA markets rose to 1.75 million cars, according to data released today the European auto industry association ACEA. Sales of VW brand models slumped 4 percent in January but returned to growth in February suggesting the impact from the automaker's diesel emissions scandal was beginning to wane. But demand fell 1.6 percent in March despite the brand recording its best performance in the UK, Europe's second largest car market, since September. VW Group sales rise 2.3 percent last month as an 8 percent ris in Audi's volume and 6.8 percent growth at Skoda helped to offset the VW brand decline. There were fewer trading days in March due to Easter, which fell in April in 2015, but VW's mass-market brand rivals PSA Group, Ford and General Motors' Opel/Vauxhall all grew, with sales up 2 percent, 0.6 percent and 6.4 percent respectively. Download PDF, above right, for March and 3-month sales by automaker and brand. In the first three months, registrations increased 8.1 percent to 3.932 million vehicles compared to the same period in 2015. VW Group's market share fell to 23.4 percent through March versus 24.4 percent a year earlier. That was Volkswagen’s worst showing for the period since 2011. Nearly every European country recorded growth last month but sales fell 0.7 percent in Spain and dipped marginally in Germany, the region's biggest automotive market. Italy recorded the strongest rise of any major market with demand rising 17.4 percent followed by France where sales increased 7.5 percent. ACEA said EU sales rose for the 31st month in a row in March hitting levels close to those recorded in 2007, shortly before the economic crisis began to hit the car industry. PWC said the low oil price and cheap credit helped underpin demand across Europe. JP Morgan analyst Jose Asumendi said discounts and other incentives remained at "high levels, the highest in the past five years."